Ronnie is using Smore newsletters to spread the word online. Even though the United States has many laws prohibiting monopolies, major league baseball has monopolized the baseball market preventing new competitors from ever really getting off the ground. The Supreme Court has upheld MLB’s right to their monopoly several times. However, major league baseball is probably the only true monopoly in the United States. This started when the national baseball league joined forces with the American baseball league back in 1903. Everything was going good at first but after a while there started to be a lot of imitation. 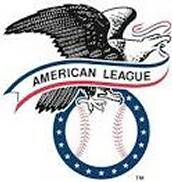 After a few years there became a another up and coming league known as the federal league. Many people considered the federal league as the major leagues, and on January 5, 1915, the Federal League sued Major League Baseball under federal antitrust law for interfering with their attempts to hire players that were between contracts. However after a little bit of time passed the case was over. This caused many issues in the world of baseball. Things still did not get better and in 1915 the federal league ran into problems. 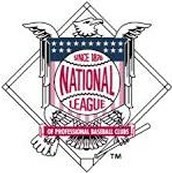 The major league had been trying to operate with 3 leagues. This was hurting the federal league because their players wanted to be apart of the major league teams since it was more popular. This lasted for a bout 2o years and after 1950 when the continental league failed, no team has challenged the major league. "Baseball even under a monopoly, is still better then no baseball"